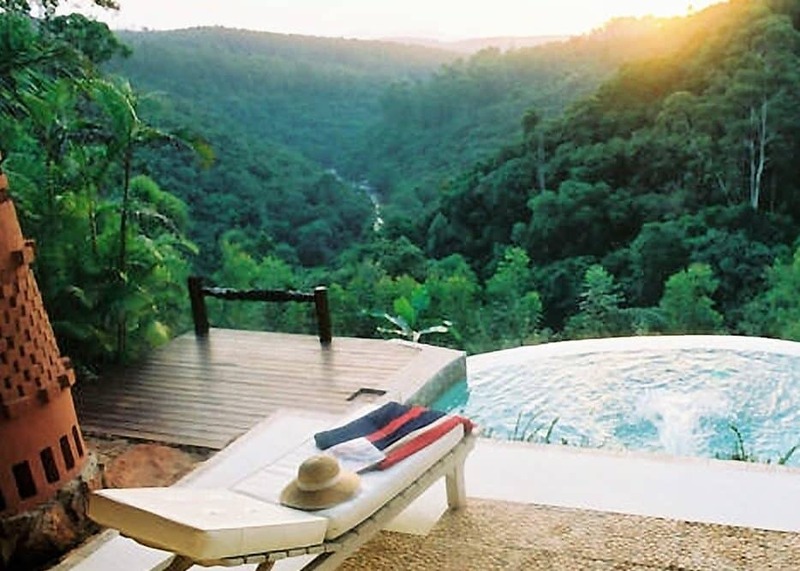 Luxuriate at intimate retreat Timamoon, with mesmerising Sabie Valley views from your plunge pool and shower. Discover the Panorama Route with your guide and vehicle. 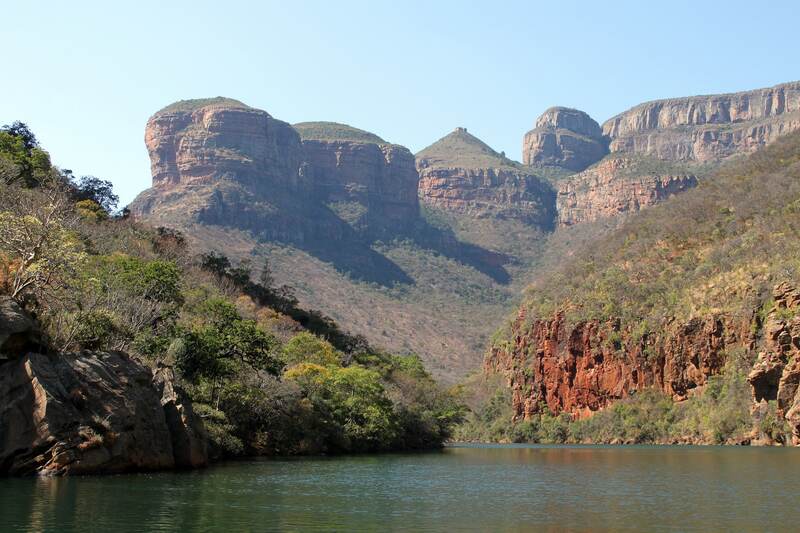 Explore Blyde Canyon and its most spectacular lookout. Choose from horseback rides, tobogganing, treetop zip-lining, quad-biking, or the Graskop gorge swing. You might prefer the views, a walk, and a peaceful picnic at the river’s edge. Your guide is at your disposal. 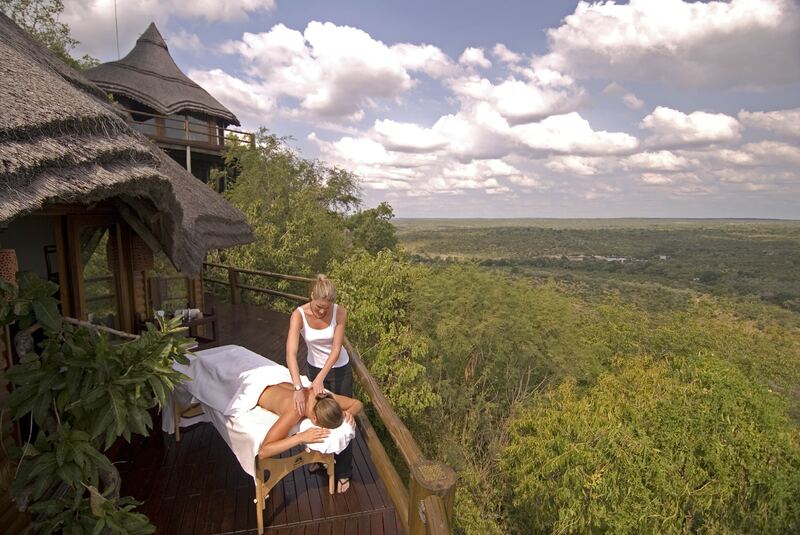 Experience Virgin luxury and unsurpassed Kruger views from Richard Branson’s Ulusaba Rock Lodge. 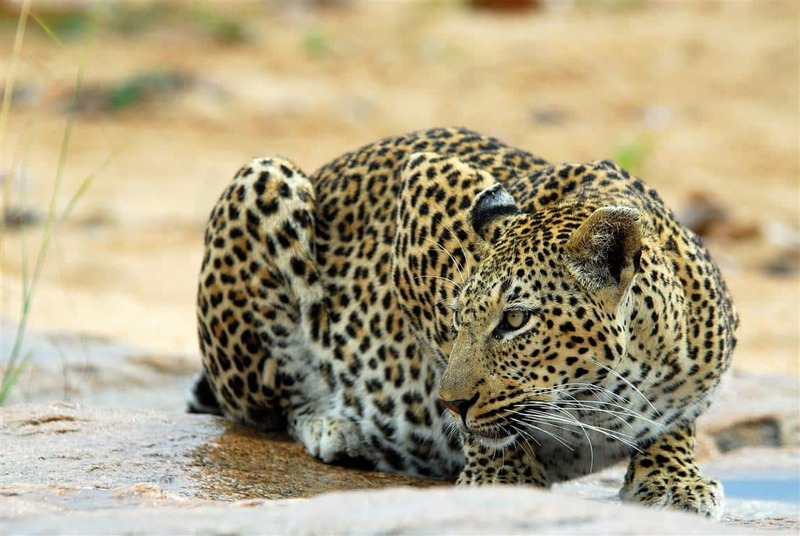 From its perch in the west of renowned Sabi Sand, explore 100 square kilometres of Big Five territory, including Sand river frontage and its concentrations of game. Enjoy morning and evening game drives on your open vehicle. The area is famed for its high density of leopards. Not too bothered by a close approach, they make memorable viewing. Top off the tour with an extension to the less explored far north, a wildly different sub-tropical paradise of baobab groves, fever tree forests and Kipling’s “great grey-green, greasy” Limopopo river. 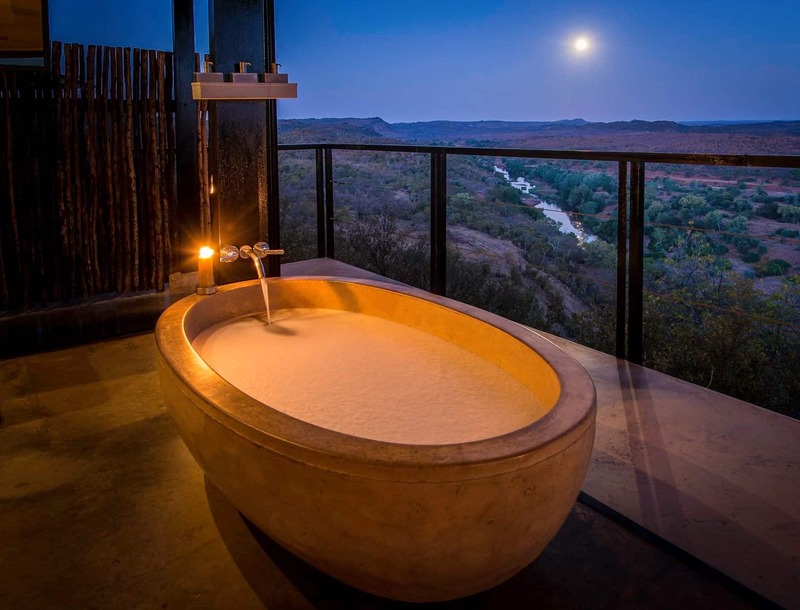 Your panoramic lodge is the iconic Outlook with unsurpassed views onto the floodplains of the perennial Luvuvhu river, teeming with seasonal herds of buffalo and elephant. The first stage of your itinerary makes use of a professional guide and air-conditioned vehicle to enable you to make the most of the Panorama Route. You can be collected in Johannesberg, Pretoria or environs, or meet at Skukuza or KMIA (Nelpruit) airports should you prefer to fly to the Lowveld. If you are starting in Jo’burg, there is a fast transfer along trunk roads (±3.5 hours). After lunch at Harries Pancakes in Graskop, drive the Panorama Route. 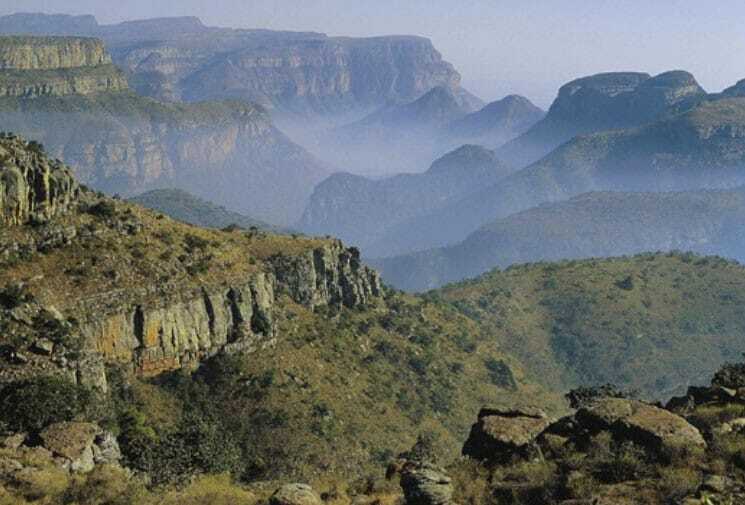 Visit Mac Mac or Berlin falls, the Pinnacle, God’s Window, Bourkes luck potholes, the three rondavels, and the best viewpoint over the canyon. 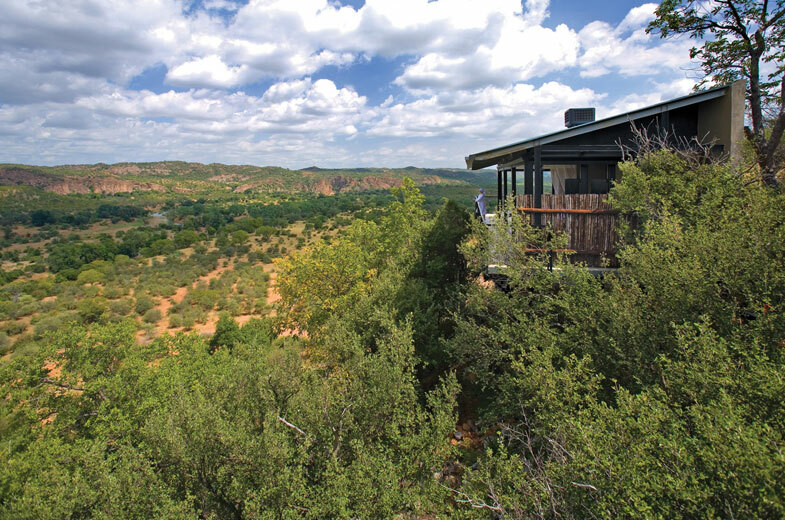 Finish your day overlooking the Canyon with a stay at the luxurious retreat Timamoon. At the top of the Sabie Valley, your suite has an outside plunge pool and a huge inside bath to soak away the day’s exercise. Food here is imaginative and served in beautiful surroundings that are a visual pleasure to match what is on the plate. 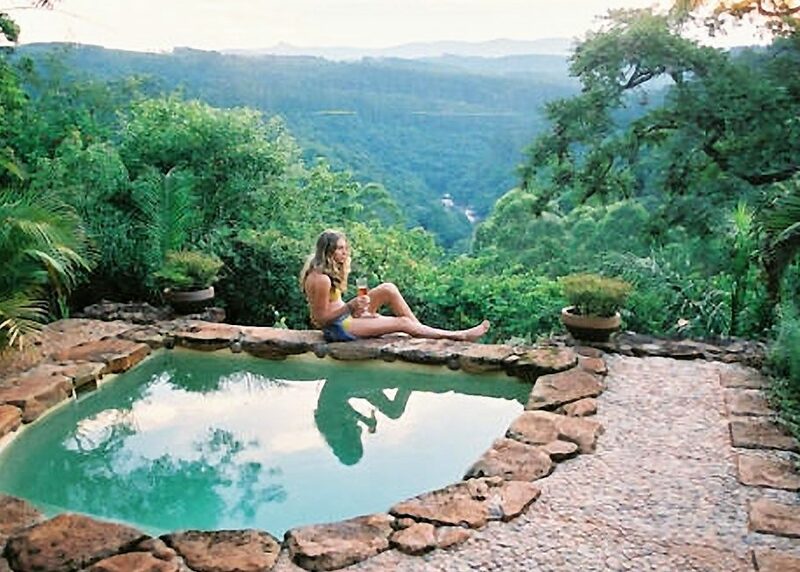 Hazyview and the Sabie Valley are an outdoorist’s idea of heaven. A wide range of activities are on offer. 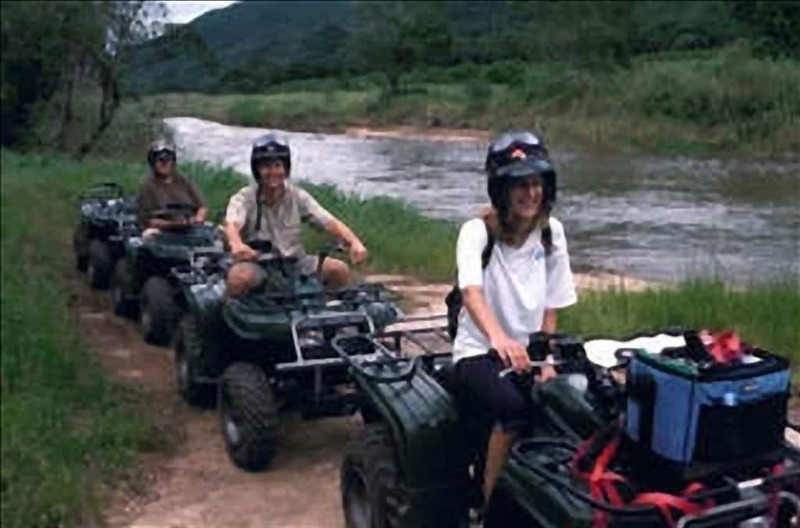 We recommend choosing two (or three, depending on their proximity to each other) from a morning horseback ride, quad-biking, Graskop gorge’s Big Swing or zip-line, and the toboggan or skyway trail at Sabie. 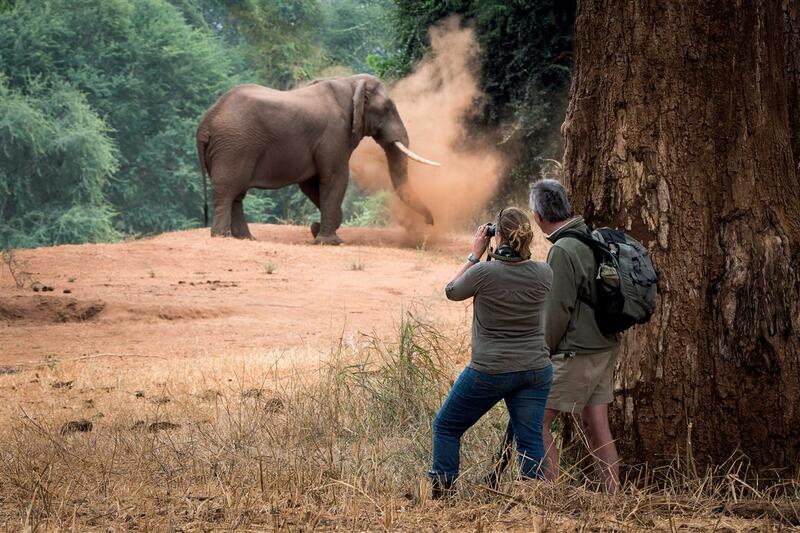 Elephant Whispers at Hazyview allows you to get close up to the pachyderms. If more sightseeing is your thing, explore the Canyon from the bottom. Take a boat trip from Swadini and visit the dam museum. Hike one of the short trails. Have a picnic at Mariepskop before ascending the mountain to look out over the Lowveld towards Kruger Park and Mozambique. If you are heading this way then Kinyonga Reptile Park, 28 Degrees South silk factory, and Moholoholo Rehabilitation Centre are close by. After a luxurious night at Timamoon and breakfast at the restaurant with a view, there is the opportunity to take in another local attraction (Elephant Whispers, for example) or activity. Or you can spend the morning in the public Kruger as a precursor to your transfer to Sabi Sand for the next part of your safari.If you have an extra night to spare you could go ballooning before moving on to Ulusaba. Your destination is Ulusaba in western Sabi Sand. The last part of the journey takes an hour or so at game drive speeds from the Newington Gate. Sabi Sand is world-famous for its private safari lodges and is the benchmark for luxury. Generations of game have become accustomed to low levels of human disturbance with the result that you can witness the uninterrupted glory of the Big Five going about their daily activities. Leopards are a particular treat that is commonly found here. Bring your camera. 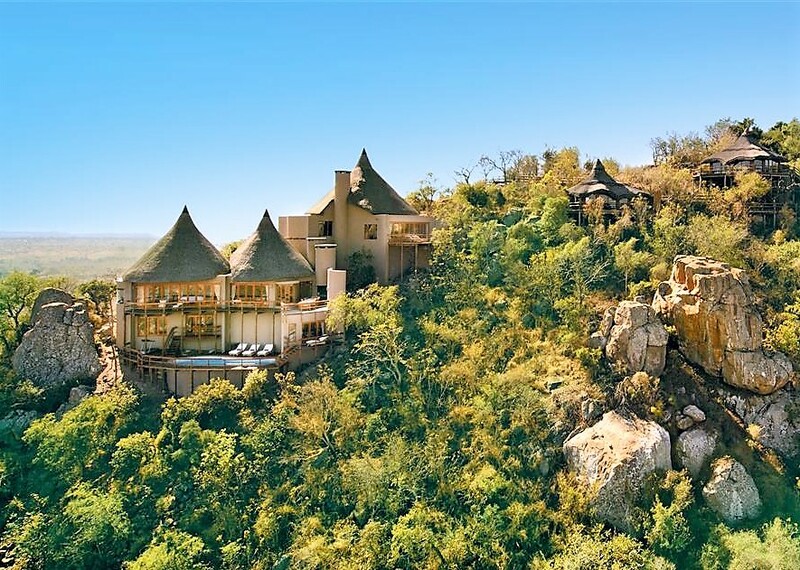 You’re on top of the world at Ulusaba Rock Lodge. Survey miles of game-rich bush as you stand eight hundred feet above the wilderness. The lodge has lots of viewing platforms to make the most of the spectacle. Open your curtains to the view. Have your breakfast outside on the deck. Take a swim on the top of the koppie in a pool heated for the cooler winter months (you can eat your lunch up here if you like). Twice daily game drives create a structure for your next two days. You will head down the hill around dawn and before dusk to explore the animal-rich plains below. Your guide and tracker have 100 square kilometres to range freely across which includes a section of Sand river frontage on Ulusaba’s own property. A productive dam is close to its sister Safari Lodge which you may visit during the day. 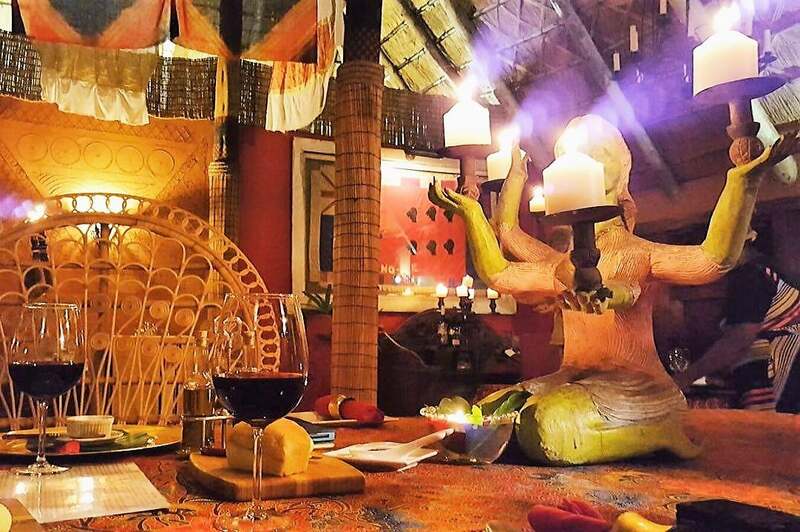 During the day, enjoy the treatments on offer at the Aroma boma spa. Later, sundowners are a tradition of every evening drive. If you are prepared to sacrifice the spectacle of sunset from the lodge, ask to dine in the cellar. Either way spend delightful evenings enjoying the shimmering view while eating dinner on the deck or tasting the finest South Africa wines. Standards and service are impeccable. Drop down from the lofty heights and spend a night (make it an extra night) at Ulusaba Safari Lodge’s Treehouse Suite set well away from the lodges at Xikwenga Dam, where you have the place and its wildlife to yourselves from dusk until dawn. 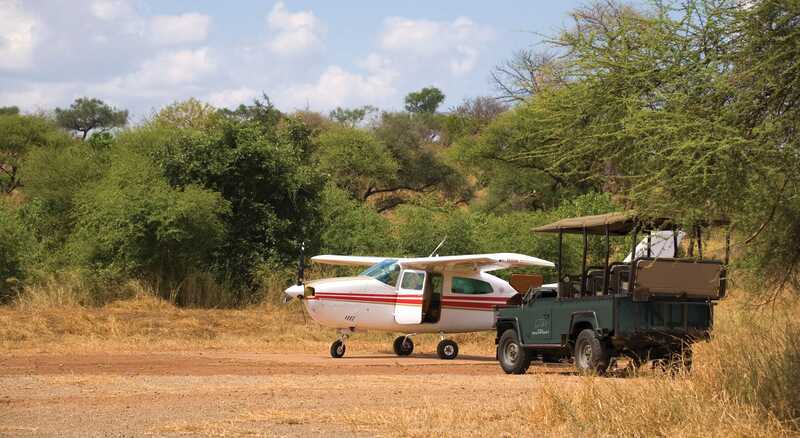 After your morning activity and brunch at the lodge, you will be transferred to Ulusaba’s own tar airstrip for your shared charter-style flight back to Johannesburg. Enjoy a last glimpse of the Kruger from the air as you bid your farewell to the Lowveld. You can add an extra night after Timamoon to stay near Hoedspruit for ballooning early the next day. 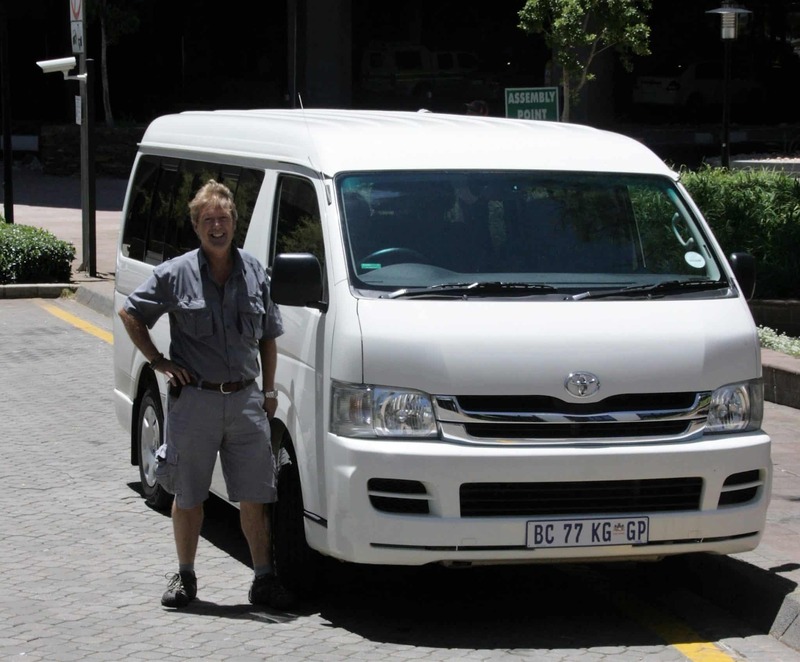 This fits in before Ulusaba so that you can keep your guide and vehicle. 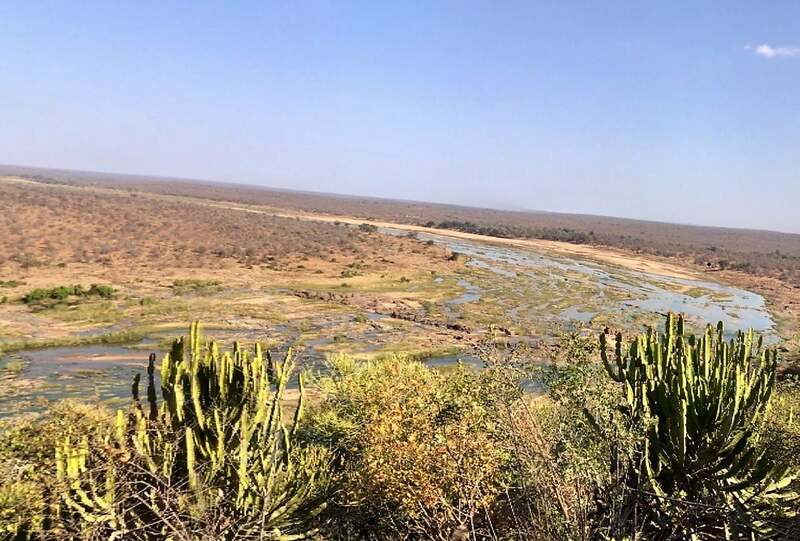 You will leave Timamoon early and spend your extra day in the Kruger public park exploring the area between Numbi and Orpen gates. 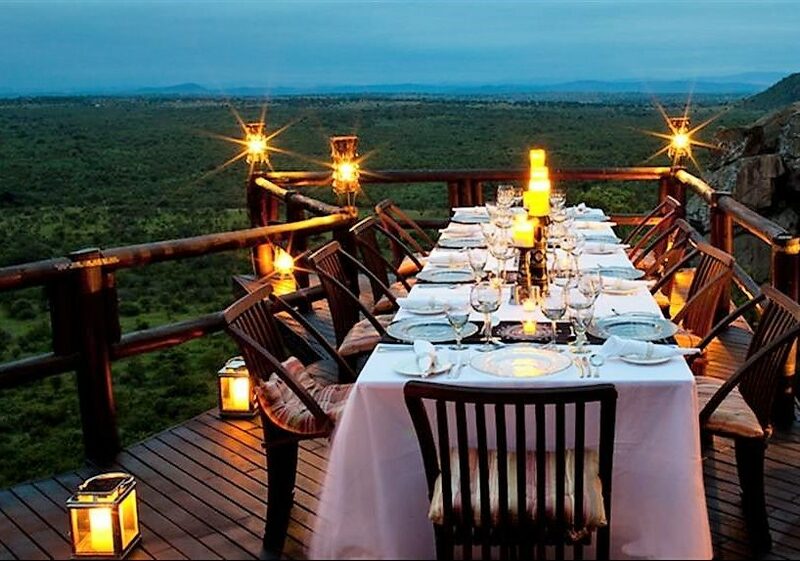 Take lunch at the spectacular Olifants restcamp. You will stay near the launch site for a dawn take-off. This will be a very full day with an early start. 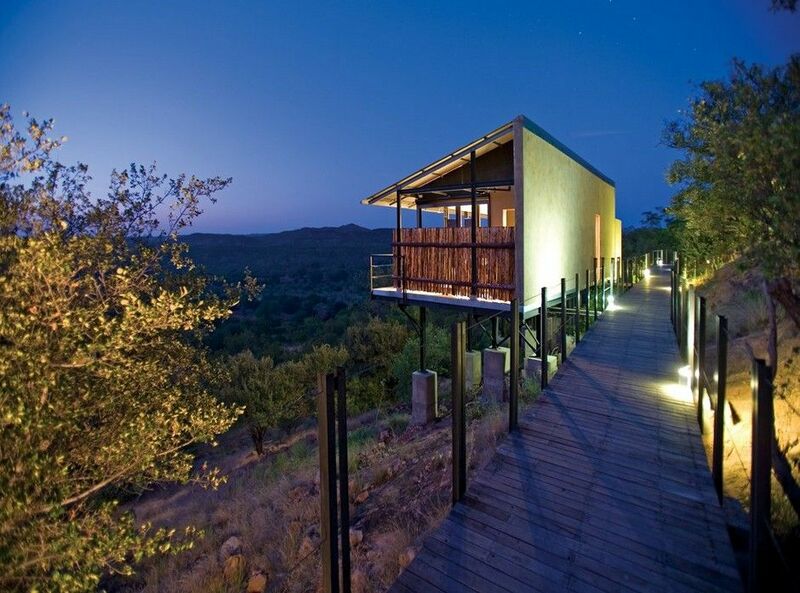 Hoedspruit is between the centre of the Kruger and Blyde Canyon, and close to many private reserves. It is a good place to recharge or base yourself for local activities such as microlighting, ballooning. It has its own airport, and restaurants, shops, accommodation. You will be woken for coffee and a snack (another early start) before making your way towards the bottom of the Canyon for a sunrise balloon lift-off. The prevailing winds take you east over the private Big Five reserves surrounding the Kruger. You will be airborne for around an hour before landing in one of these reserves for a sparkling wine breakfast. You will then be retrieved by your guide,returned to the lodge and transferred on tar roads to the Newington Gate (±2 hours) and then on to Ulusaba (17km further). 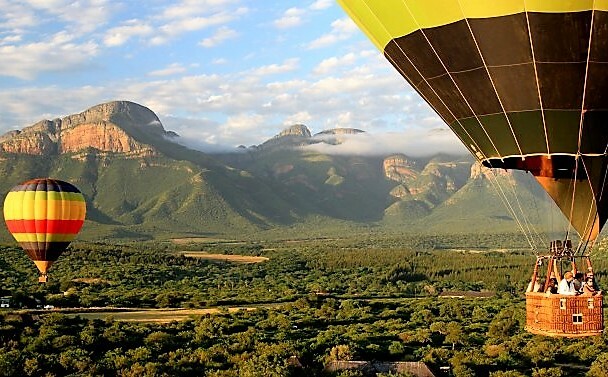 Extend your exploration of the roof of Africa by taking a spectacular flight over the Lowveld from Ulusaba’s own tar airstrip to the less explored far north of the Park. 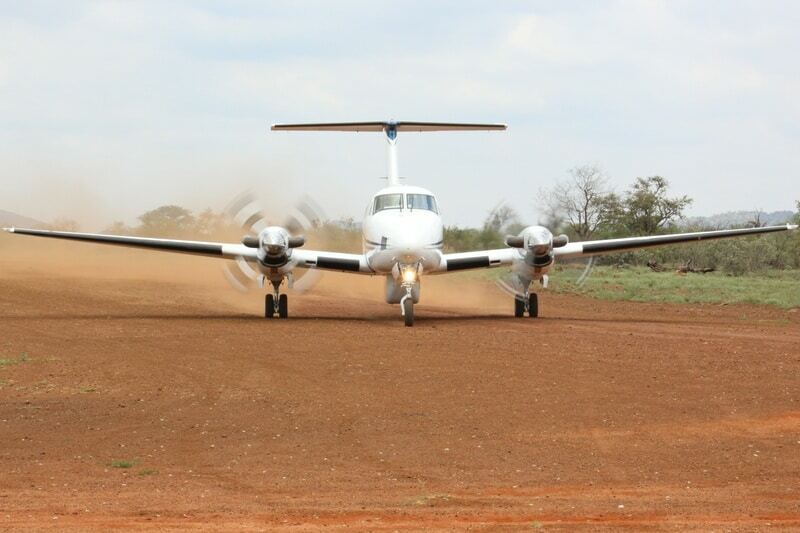 Your destination is the Makuleke concession, where there is a 1000m gravel runway. You will be met by an open 4×4 safari vehicle and a guide who will transfer you to your lodge. This is a ±45 minute complimentary scenic drive with game viewing on the way. 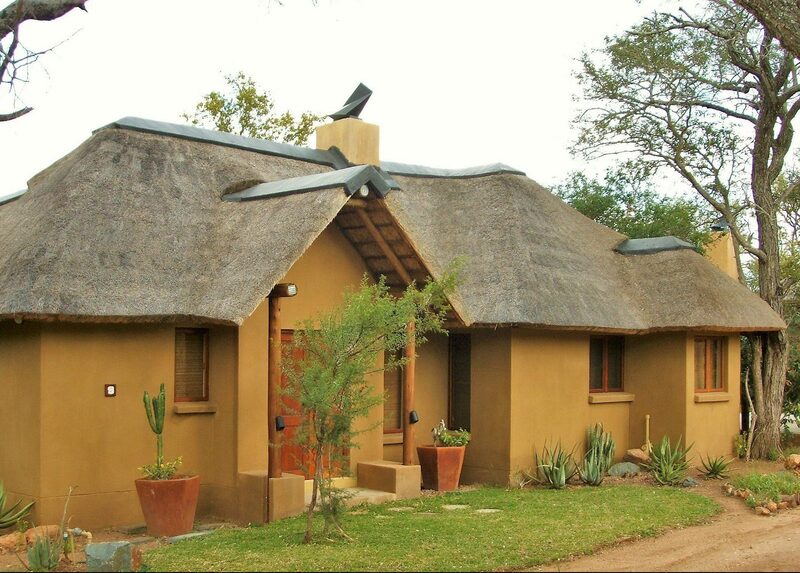 Makuleke is a swathe of private community land ceded back to the Kruger, with which it is managed and unfenced. 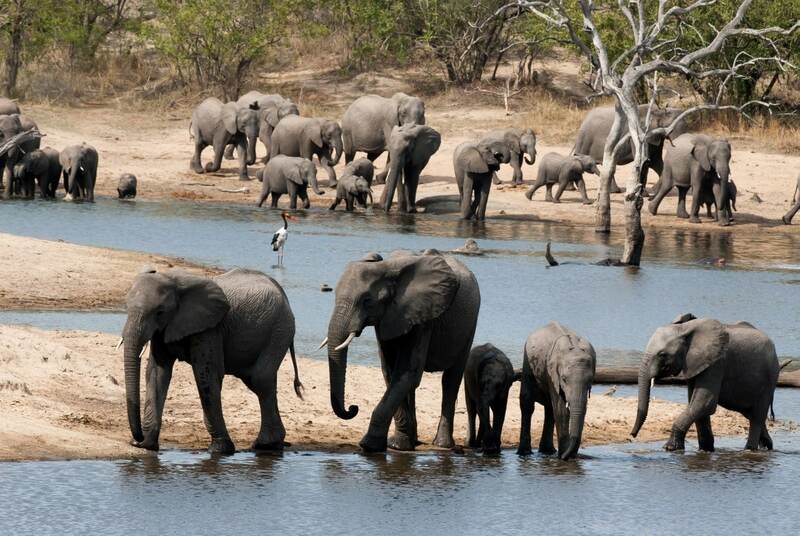 Bordered by two perennial rivers, the Luvuvhu and the Limpopo, it is a choke point for game between South Africa, Mozambique and Zimbabwe, producing spectacular herds of seasonal buffalo and elephant. It is sub-tropical, characterised by spectacular baobab groves, fever tree forests and beautiful gorges. Your days at the Outpost Lodge start by awakening to a beautiful view. Your room’s walls are open to the 180° panorama over the floodplains of the Luvuvhu river and across to the foothills of the Lebombo mountains in Mozambique. Your bath and private suite deck share the view. Prior to your morning drive, tea, coffee and rusks are provided at the main area before you head out. With 264 square kilometres to traverse, you will get but a small taste of the region in your four outings. We recommend arranging walks in advance to ensure Trails Guides are available, as the area is perfectly suited for this. Mutale gorge is otherwise inaccessible, but it is close on foot. Walking in the fever tree forest, springs and groves is spectacular. 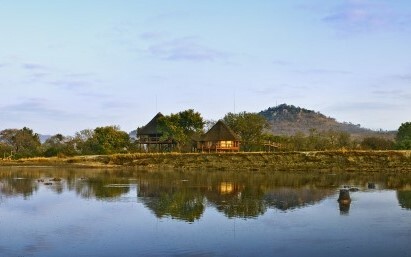 Dip your toes into the Luvuvhu river (your guide will look out for hippos and crocs). If you take a private vehicle and guide, spend the whole day out with a picnic under the baobabs. 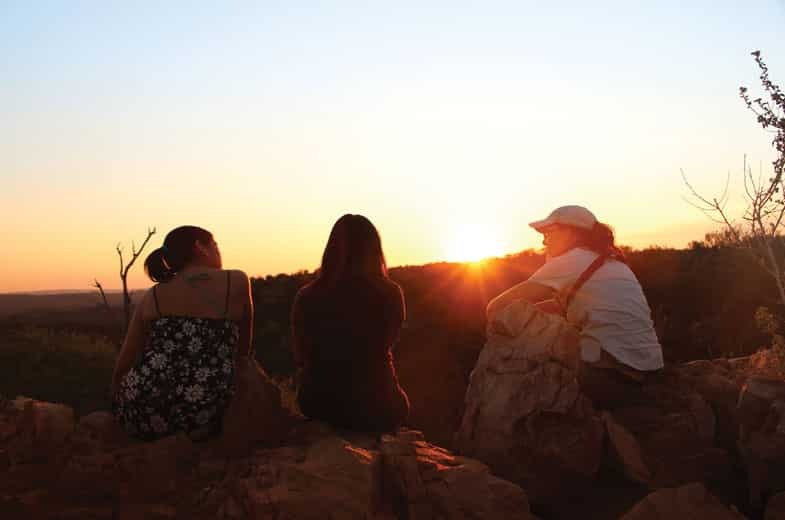 Lanner Gorge is a spectacular spot for sundowners and is accessible only to the private lodges. 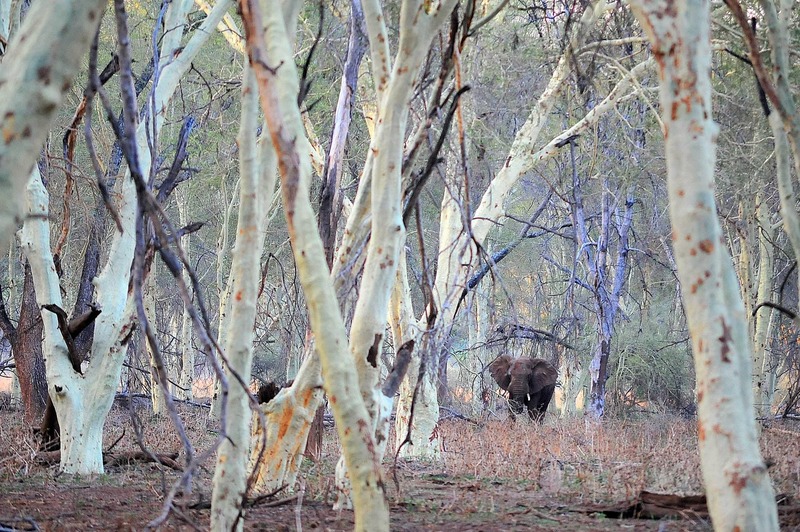 The drive back in the early evening offers the chance to spot crepuscular and nocturnal animals. On your return, dinner is enjoyed in the enclosed courtyard under the stars or on a deck next to the pool. The Outpost is creative in its cooking, despite its remote location. There is a large wine cellar including Sauvignon Blanc produced by the lodge owner. After your morning activity and brunch, you will drive back to the airstrip enjoying your last view from the ground of the game which you may shortly see again from the air. 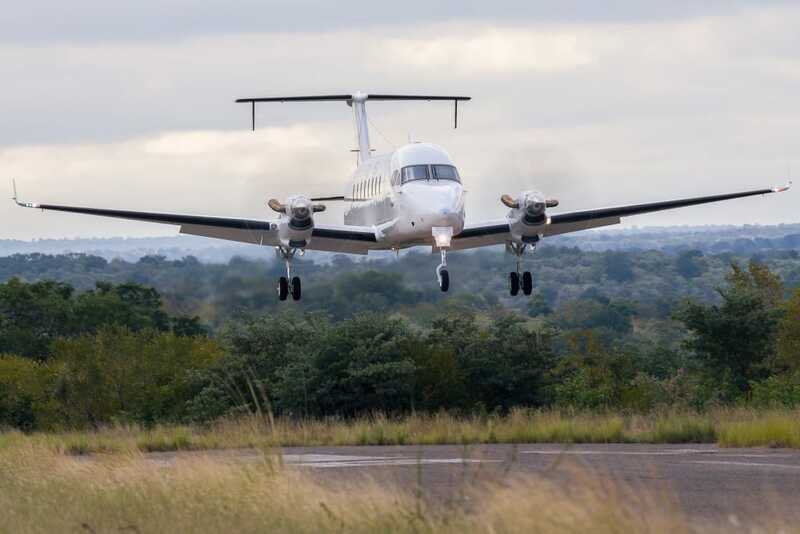 Scheduled shared charter-style flights to Johannesburg operate three times a week and provide a lovely two hour transition to the real world.